Explore Pakistan | Happy Holidays PK - Pakistan's No.1 Tour Planner. Top 10 beautiful places of Pakistan for Honeymoon Travelers. Planning honeymoon tour in Pakistan lets explore top beautiful and affordable places for honeymoon couples. The romantic sightseeing destinations in your own Country !Romantic Honeymoon Retreat always concerns for Bride, I think exploring Pakistan on your Honeymoon is one of the best Choice. In Hunza there are about 10 places to visit namely; Rakaposhi, Karimabad, Altit fort, Baltit fort, Eagles Nest, Attabad lake, Altit Fort, Baltit Fort, Hunza Nagar View (Merging of River Gilgit in River Indus) Passu, Gojal and sust are best destinations for honeymoon couples. Hire Services from Happy Holidays PK to book car, hotels, tour guide. Planning a tour to Hunza is very important , Hunza is top destination in Pakistan for honeymoon couples. 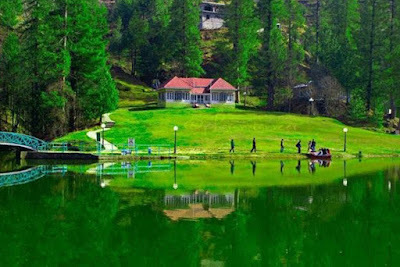 In Pakistan more Destinations for honeymoon couples are situated in Swat Valley, namely ; Mingora, Saidu Sharif, Malam Jabba, Bahrain, Madyan, Kalam, Ushu Forest, Mahodand Lake. 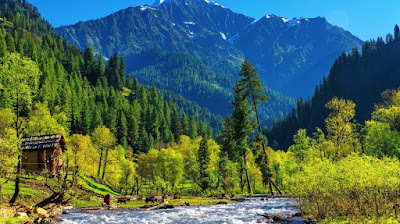 Booking of tours to Swat Valley for Honeymoon couple is on single click. In winters attractions to Swat Valley are Skiing and snowfall. 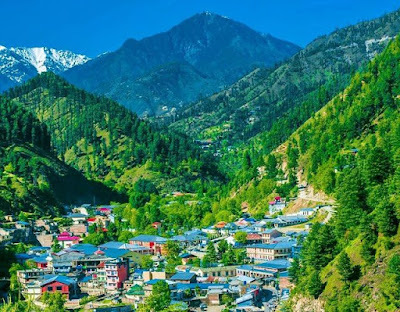 Most visited tourist attraction for summers is Naran Kaghan Valley and we rate 9/10 for honeymoon couples due to its chilling weather, lakes, lush green mountains, hotel facilities and transport system. 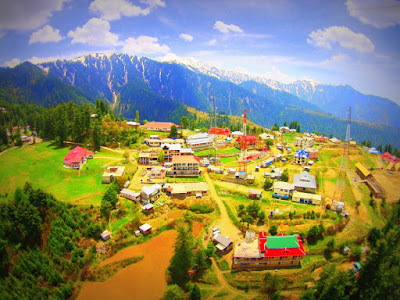 Shogran is one of a kind Tourist Destination situated near Kunhar River’s den Balakot. Shogran is famous for Siri Paye and Paye Lake, it’s lush green landscape and the astonishing aroma of Cedarwood. Shogran became a famous destination when our CEO & Founder Mr. Khan visited this place for the very first time in 2007. He fell in love with this place and ultimately today we are the pioneers of making this destination famous internationally. Our Perfectly crafted Honeymoon and Daily Tours to Shogran are one of the best and Cheap Pakistan Travel Packages. Chikar valley is still to explore for Honeymoon couple, a beautiful small valley with lakes, meadows, lush greenery, water ponds, hotels. Culture of this valley is simple neat n clean, offering major attractions for tourists. Chikar is about 1 hour drive from Muzaffarabad City, we call it chikar A hidden gem of Pakistan. 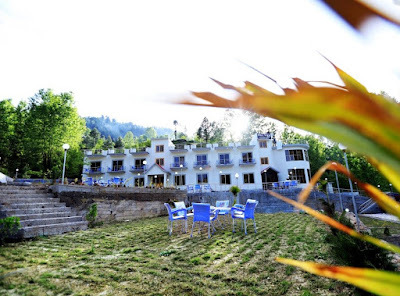 Murree, Galiyat are famous tourist attractions, approachable/secure/lively destination offering Motels, Restaurants, Walkways, Shopping opportunities. Couples find a relaxing environment, temperature in summers is awesome. Most rated place for honeymoon couples. A perfectly arranged Bhurban Tour is a lifetime experience and Happy Holidays PK does it extremely best for our customers. Nathiagali has a lot of tourist attractions and spots. 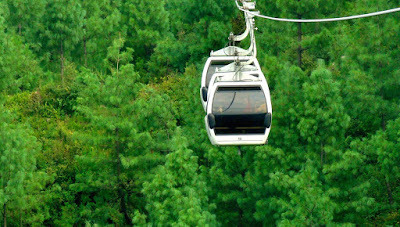 Patriata welcomes its visitors with an awesome chairlift experience. 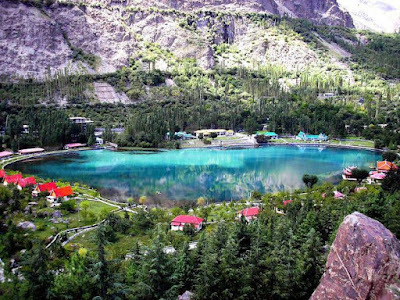 Normally 7-8 days are required to complete your tour of Skardu, Baltistan, Top Places to Visit in Skardu are; Shangrilla, Khaplu Palace, Upper Kachur, Lower Kachura, Monthoka Waterfall. Happy Holidays PK is offering customized tour plans for Skardu, Baltistan. Book your tours to Skardu. 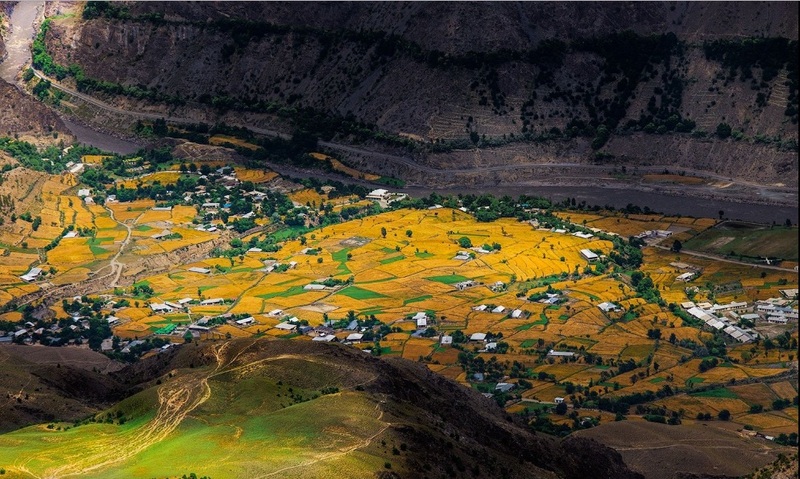 No wonder Chitral is diverse due to its culture and beautiful landscape, for honeymoon couples it’s hard to travel but somehow people love to travel across this valley to explore it beauties. Chitral is a lifetime experience, it takes you away from this world, you will find yourself in the middle of such great mountains. from the voices getting louder at Shanpur, World’s highest battleground for Polo to the beautiful views of Ghizer. This is Pakistan’s hidden paradise, Chitral. Lahore, the heart of Pakistan situated in Punjab province is a city that keeps a beauty of its own kind, rich culture and traditions. Major tourist attractions are Badshahi Qilla (Mugha fort) , Badshahi Masjid , Minar Pakistan, Pakistan Museum, Lahore zoo and Wagha Flag ceremony. Lahore is the city that never sleeps therefore enjoy Lahore city tour at most. Pakistan, officially the Islamic Republic of Pakistan, is a country in South Asia. It is the world’s sixth-most populous country with a population exceeding 212,742,631 people. In area, it is the 33rd-largest country, spanning 881,913 square kilometres . Pakistan has a variety of Tourism sections that contribute to it’s economy and Happy Holidays PK, Pakistan’s Leading Tourism Company provides a wide range of services to cater all the transfers, lodging, cargo & adventure travel needs of it’s prestigious customers. Pakistan exhibits some of the earliest human settlements, it is home to an ancient civilization rivaling those of Egypt and Mesopotamia, and the crucible of two of the world’s major religions, Hinduism and Buddhism. It’s far more unimaginable and contains some of Asia’s most mind-blowing landscapes, extraordinary trekking, a multitude of cultures and a long tradition of hospitality. From the mighty stretches of the Karakorams in the North to the vast alluvial delta of the Indus River in the South, Pakistan remains a land of high adventure and nature. Trekking, mountaineering, white water rafting, wild boar hunting, mountain and desert jeep safaris, camel and yak safaris, trout fishing and bird watching, are a few activities, which entice the adventure and nature lovers to Pakistan. The northern areas of Pakistan have many old fortresses, towers and other architecture. The Chitral valley is home to the small pre-Islamic Animist Kalasha community which claims to be descendents of the army of Alexander the Great. In the Punjab is the site of Alexander’s battle on the Jhelum River. 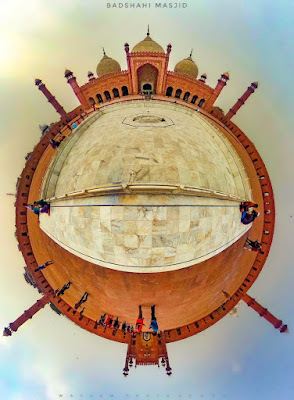 Lahore is the cultural capital of Pakistan with many examples of Mughal architecture such as the Badshahi Masjid, Shalimar Gardens, Tomb of Jahangir and the Lahore Fort. The Karakoram Highway, which follows the ancient Silk Road, offers breathtaking beauty of Himalayan mountain range including Hindukush Pamir. The trail runs along the Indus River and to the beautiful Gilgit and Hunza valleys. and Margalla Hills located in Islamabad is an important tourist place. In the midst of these hills lies Daman-e-Koh, a terraced garden with an excellent view over the city. Many mosques and Islamic tombs exist across the country. Some of the famous ones are: Badshahi Mosque in Lahore (one of the largest mosques in the world, and an example of Moghul architecture rivaled only by the Taj Mahal), Faisal Mosque in Islamabad, and so on. The city of Thatta in Sindh region is well known for its mausoleums and mosques. The beautiful area of Chitral in the Hindu Kush Mountains north of Peshawar is noted for its hot springs and trout-filled rivers. Clifton beach of Karachi is one of the most beautiful beaches in Asia. However Pakistan has not been able to develop beach tourism because the Western concept of beach luxury somehow is not in consonance with country’s Islamic cultural traditions. Pakistan has 5 highest mountain peaks in the world and several large glaciers. The northern areas like Gilgit and Skardu are very popular for trekking. Malam Jabba resort in the Karakoram range has good skiing facilities. Cricket is the popular game of the country. You could watch cricket matches. Polo is also popular, particularly in the northern towns of Gilgit and Chitral. Shopping in Pakistan is interesting and quite unique. Well-known for exquisite handicrafts, Pakistan is home to gorgeous hand-woven carpets, marble pieces, copper and brassware, woodwork, and embroidered kurtas and khussas. Karachi, Lahore and Islamabad have some excellent traditional market places (called Bazars) as well as modern shopping centers. Together we are uprising Pakistan Tourism and spreading the message of peace, nature and serenity to rest of the world. Pakistan’s is one of the most blessed countries on planet earth with all four seasons, beautiful landscapes, mesmerizing sights and natural lakes. In Pakistan there are 5 mountains over 8,000 Meters, 29 over 7,500 Metres and 108 over 7,000 Metres. Apart from these, Peaks between 4,000 Metres and 7,000 Metres are in numbers. Out of 14 peaks over 8000 Metres in the world, 5 are in Pakistan. 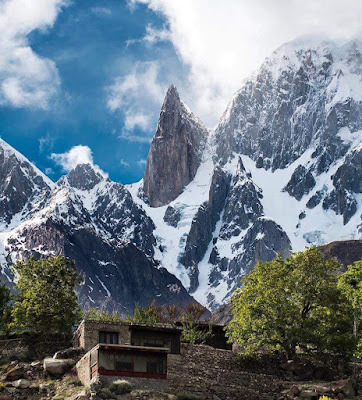 Expeditions and Trekking in Pakistan. Happy Holidays PK offers trekking peaks (below 6500m) along with trekking programs in Karakorum, Western Himalayas, Hindukush & Pamir Mountain Ranges. While choose the trekking program please select your ideal trekking peak & contact us for complete information and price. Note: Gilgit- Baltistan Council secretariat wave off royalty fees up to 6500m peaks also Liaison officer services are not required as well. There are 14 more than Eight thousand peaks in the world, 5 are in Pakistan 8 are in Nepal, and one is in china, these famous peaks are the world attraction for climbers trekkers and mountain lovers. The famous peaks are lying on these mountain ranges of different countries in Asia. K-2 (8611m) Karakorum- Nanga Parbat 8126m Himalaya- Gasherbrum I 8068m Karakorum- Gasherbrum II 8035 m Karakorum- Broad Peak 8047m Karakorum. The above mentioned peaks are climbed bravely from different time, Goodwin Austen and his party has a great contribution, also T.G Mentugmeries and Rcf Shamberg who have Explored the great mountain ranges in Asia. We are thankful to the Italian Expeditions and Explorers with wham’s Excellent work the world attraction composed to these mightily peaks. However Achille Compagnoni Lino Lacedelli. The first climber of K-2 and Harman Buhl, the first climber of Nanga Parbet cannot be forgotten until and unless the mountaineering Expedition will exist, Or those Expeditions who have climbed these peaks con not be forgotten in the next Generations until when this interest will end. The pride has been received by many Pakistanis, which the majorities are from Hunza valley. Most probably there are many Pakistan or European, young generation, who are interested to climb these peaks, Due to Economic reasons they cannot afford. The future of these are very bright for tourism industry to help people in the Remote Area in Asia. It is true that the Economy can be up graded with tourism industry in Asia as well as in Pakistan. PAKISTANI MOUNTAIN CLIMBER RETURNS AFTER SUCCESSFULLY CONQUERING THE EVEREST. Abdul Jabbar Bhatti, the great Pakistan mountain climber upon his return said at Islamabad Airport, “I’m really happy to have hoisted our national flag atop Mount Everest. These are proud moments for me,”. Upon his arrival, an experience & skilled Pakistani climber Bhatti spoke to BBC Urdu and Dawn News about his ordeal climbing the world’s highest mountain. He revealed that his porter, instead of taking three bottled oxygen tanks, carried only one, resulting in a serious shortage of oxygen. Surprisingly, Bhatti said this meant he was forced to spend one night at a height of 8,500 meters without any oxygen. Bhatti’s porter had previously said via Facebook that the retired colonel insisted on scaling Everest, despite his repeated requests to back down because of bad weather. On his way back down, Bhatti was in dire need of rescue. Thanking God, Bhatti revealed that five individuals helped him get back down from 8,600 metres to safety. Before arriving in Islamabad, Bhatti underwent one week treatment at a hospital in Kathmandu. “The way I was assisted by the people there is indescribable,” he said. Bhatti, who himself managed the finances of the Rs6 million trip, said he was thankful to the people of Pakistan as right from the outset of his voyage they had been praying for his success and safe return. Bhatti, however, was not alone in this historic journey. His companion Mohammad Saad’s abandoned journey. His companion, Mohammad Saad, who had embarked on the trek along with Bhatti, was forced to abandon his attempt to summit Mount Everest for the sake of his injured fellow climber. “The expedition manager said it would be better if I called off my attempt to summit Everest and assist my fellow Pakistani climber, who was in dire need of medical assistance,” Saad told Dawn over the phone from Kathmandu, the disappointment palpable in his voice. It is pertinent to mention here that Bhatti has successfully scaled Broad Peak (8,051 metres high) in 1985; Gasherbrum 2 (8,035m) in 1986 and Spantik Peak (7,027m) in 2012. Prior to him, Pakistani mountaineers Nazir Sabir, Hasan Sadpara and Samina Baig have submitted Everest.